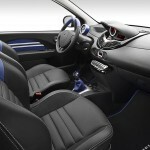 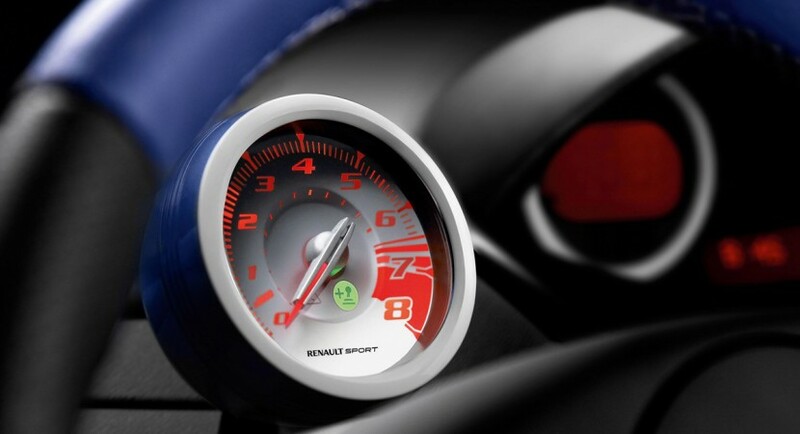 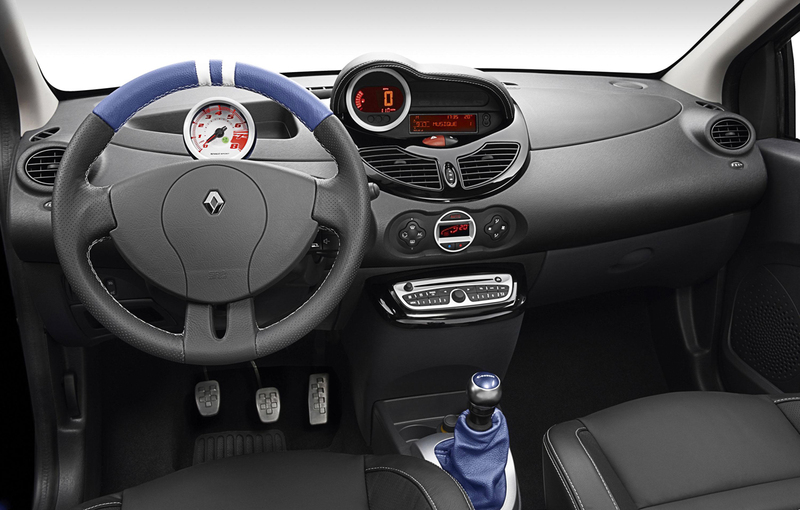 Renault has released the first images with the interior of the Twingo RS Gordini. 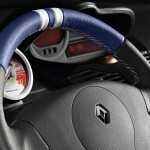 After presenting two weeks ago, photos with the exterior of the first special version Gordini, developed on the basis of Twingo RS, Renault raises a set of images that present the sport interior of the new equipment version of the French model. 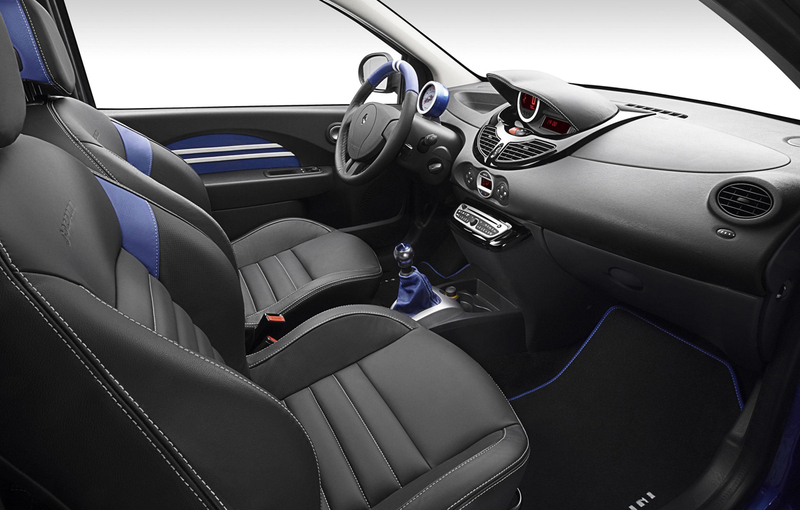 If the exterior is distinguished mainly by the blue shade of the bodywork, the longitudinal double white stripes and wheels coloured in the same Gordini blue, the interior is slightly better defined the rest of the RS range. 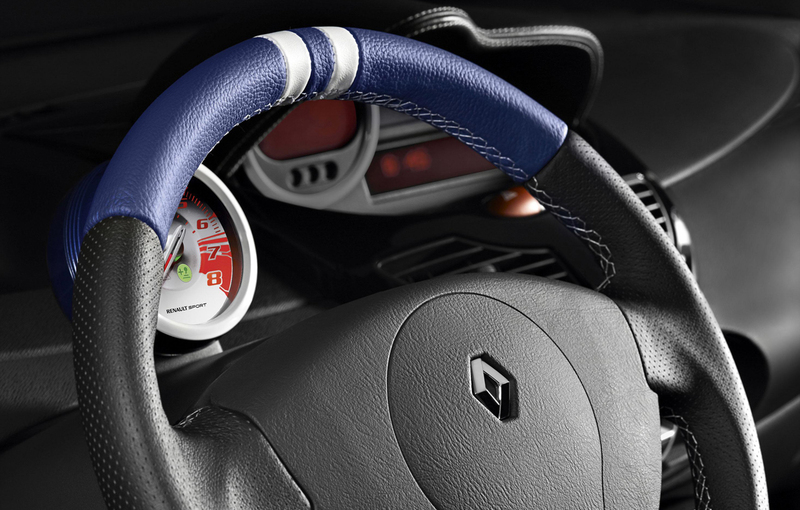 Thus, we find in the interior of the new Twingo RS Gordini seats with lateral support improved coloured in blue-black, blue leather medallions on the inner door panels and steering wheel is also covered with leather and embroidered with two vertical white lines which outline its central position. 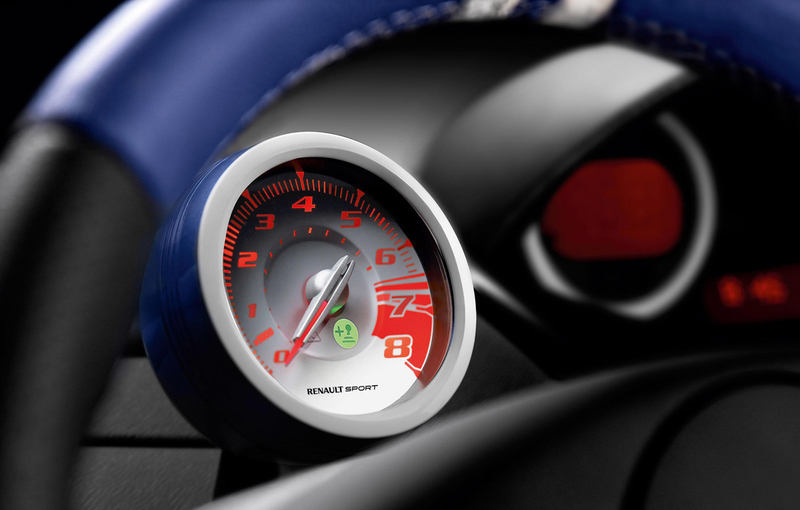 The improvements reach the lever gearbox also, whose handle is covered with Gordini logo, board dials with white background and the semicircle above the dials, covered with leather.